Like most conventional wisdom, ideas about the "best" way to market software-as-a-service (SaaS) solutions make sense for some companies. But for other companies, those same ideas don't work at all. Take free trials, for example. For applications and markets where the prospective customer can actually get a good sense of how the solution works over the course of a short trial, where the company has the resources to support the trial, and there's an effective process in place to move prospects from trial to purchase, a free trial can be a very effective tactic. But that's not always the case. If the prospect won't see much value from a trial for months, or it costs the SaaS provider lots of time and money to support it, a free trial doesn't make sense. 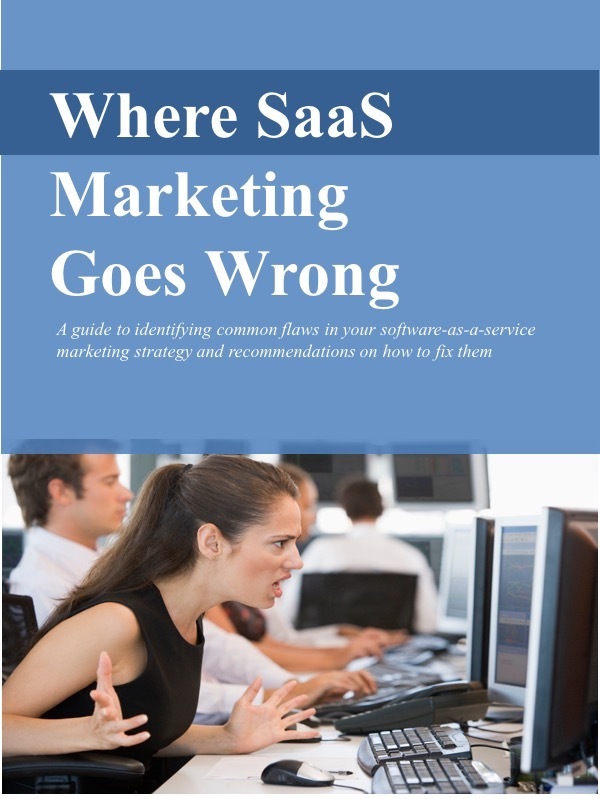 Conventional wisdom also points to social media as a "must do" SaaS marketing tactic. Facebook, Twitter, or LinkedIn can be effective in the right circumstances. But if your target market isn't active on those media, don't bother. Or at least don't bother with all of them. If your prospects participate in relevant LinkedIn discussion groups, spend time on LinkedIn, and ignore the other media. Blogs can be useful too. If they convey helpful information, they can organically attract a well-qualified audience. But don't follow the pack here and start a blog just because "everybody's got one." Blogs take time and resources (Believe me on this, folks. Even monthly deadlines come up quickly!) If you can't make the commitment, don't do it. A blog showing the latest post from 2010 is worse than no blog at all. Conventional wisdom takes a dim view of tradeshows. For one thing, they are expensive. I always figure the final cost of participating in a large show- counting in travel, entertainment, tchotchkes, shipping & drayage, etc. - will be at least 3x the cost of booth space. That's a lot of money for a cost-conscious SaaS company. But don't write off tradeshows out of hand. Conventional wisdom aside, for some markets and some SaaS solutions, they're perfect venues to get in front of the ideal prospective customer. We recently developed a customer acquisition plan for a client selling to fitness clubs. In talking with their target buyers - fitness club owners and managers - we found they all attended at least one of the two large national shows every year. Participating in those events - both on and off the show floor - makes sense for that company. So much for "conventional wisdom." When you're evaluating SaaS marketing tactics, of course it's a good idea to listen to your peers, pick up "rules of thumb," and skim relevant blogs (thank you). But don't accept or reject ideas out of hand. See if they fit your particular situation. Better yet, try them out. Measure the results. If they work, do more. If not, don't.